Dr Benjamin Franklin's London lodgings which he shared with the Stevenson family, Dr Hewson, and his slaves Peter and King. 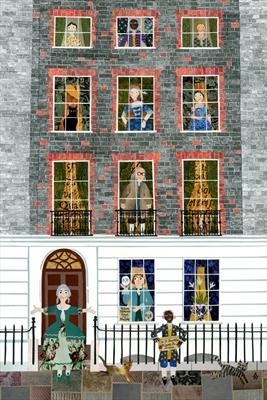 This image selected for sale in card & print form at No 36 Craven Street, now Benjamin Franklin House. Shortlisted for the AOI Prize for Illustration 2015. Also available as a giclee print.